It wasn’t his place to ask. He reminded himself of that as he closed the door and followed her. She’d swept straight through into the living room. As he ducked beneath the archway, he saw her pause by the table, inspecting his endeavors. She turned as he crossed the room toward her. She was petite while he stood over six feet tall; her head barely reached his shoulder. 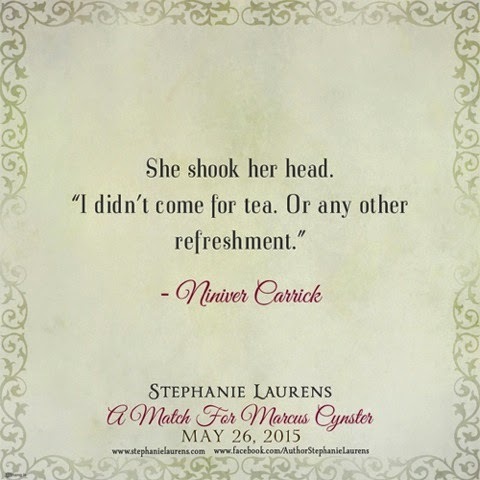 Rather than tower over her, he waved her to the pair of armchairs that faced each other across the wide hearth. He sensed rather than saw her approval of the courtesy as she walked on and, with a swish of her heavy skirts, sat. Definitely not a social call, then. Her big blue eyes still measuring him, she caught her lower lip between her teeth—something he’d noticed she did when uncertain, or cogitating about something that bothered her. Him? Or what had brought her there? Now she was there, face to face with him, Niniver had second and even third thoughts about the wisdom of her course, but she still needed help. She desperately needed a champion, and there he sat, the perfect man for the task. With his black locks—not true blue-black but black with an underlying hint of red, the very deepest mahogany—framing his face, one dark lock falling rakishly over his broad forehead, sitting as he was, relaxed and at his ease, his long-fingered hands elegantly disposed on the chair’s arms, his muscled horseman’s thighs, long, buckskin-clad legs, and top-booted feet arranged in an innately graceful pose, he should have appeared no more dangerous than any London dandy. Instead, a tangible aura that seethed with restrained power, edged with menace, emanated from him. As a deterrent to her importuning suitors, she couldn’t imagine finding better. “Men.” The word slipped out before she’d thought. She grimaced and forged on, “Specific men—namely men of the clan who assume I must be looking for a husband, and who are putting themselves forward overenthusiastically.” She couldn’t hide her irritation; it underscored her tone. 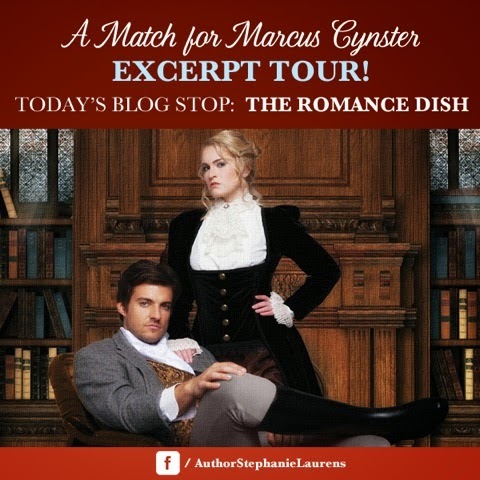 To her surprise, Marcus…stilled. There was no other word for it. His gaze remained on her—he was still looking at her—yet she got the distinct impression he was seeing something else. That he was viewing something beyond her. He barely seemed to breathe. Laurens's novels are set in the time period of the British Regency, and her settings range from Scotland to India. 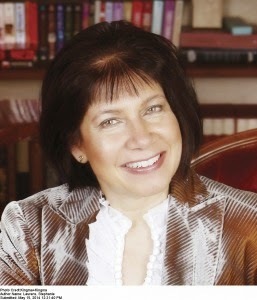 Laurens has published fifty-three works of historical romance, including 31 New York Times bestsellers. All her works are continuously available in print and digital formats in English worldwide, and have been translated into many other languages. An international bestseller, among other accolades Laurens has received the Romance Writers of America prestigious RITA Award for Best Romance Novella 2008, for The Fall of Rogue Gerrard. 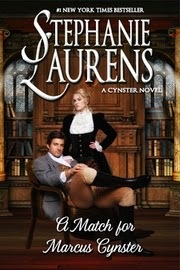 A Match for Marcus Cynster continues Laurens' popular series of books revolving around the Cynster family. 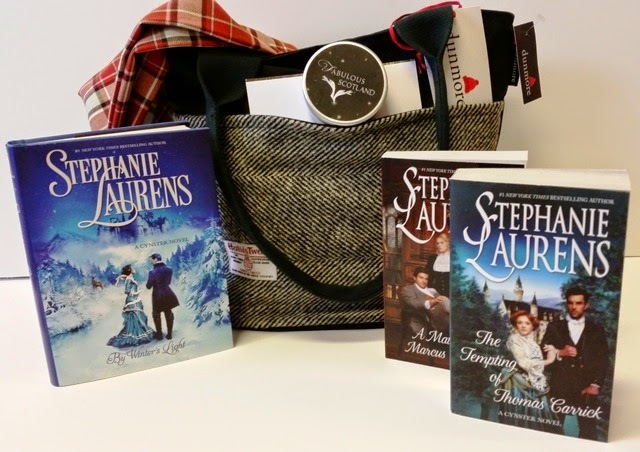 #1 New York Times bestselling author Stephanie Laurens returns to rugged Scotland with a dramatic tale of passionate desire and unwavering devotion. Niniver has vowed to return her clan to prosperity. The epitome of fragile femininity, her delicate and ethereal exterior cloaks a stubborn will and an unflinching devotion to the people in her care. She accepts that in order to achieve her goal, she cannot risk marrying and losing her grip on the clan’s reins to an inevitably controlling husband. Unfortunately, many local men see her as their opportunity. 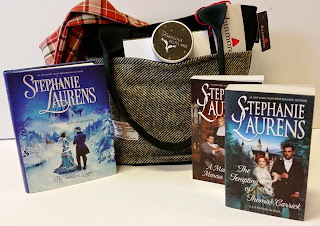 I just love Stephanie's Cynster family series.Thanks for the post and the giveaway chance. I'm a fan too, Carol! Your book sounds really good. Thanks for the giveaway! I've really enjoyed the recent additions to this long-running series. it's been such a long time since I started this series I've been thinking I should read from the beginning again! I love reading about the Cynster family. Just finished reading The Tempting of Thomas Carrick and was wondering what happened to Nigel and if he was truly guilty of patricide.